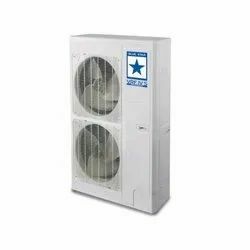 Manufacturer of a wide range of products which include toshiba mini vrf air conditioners, mitsubishi vrf air conditioners, toshiba vrf air conditioners and blue star vrf system. 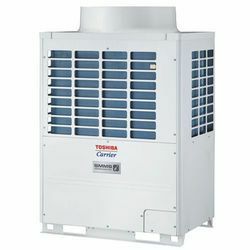 Toshiba offers a solution for all applications: residential, light commercial and larger commercial buildings. Residential indoor units are designed to blend perfectly with all interiors and incorporate advanced filtration systems to deliver optimum indoor air quality. For small commercial premises, products are designed to deliver top performance combined with energy efficiency. 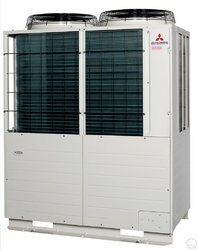 For larger applications, VRF systems combine flexibility, energy efficiency and respect for the environment, with a wide choice of stylish indoor units. Toshiba’s commitment to excellence drives a companywide focus on attention to the details through every stage of the development process, from design to user field tests. Installations using our products and systems therefore feature a high standard of indoor air quality, sound levels, energy savings, and environmental awareness. When it comes to providing personalized comfort in every room of every building, we are here to help. No other company is as committed to creating environmentally friendly and affordable technology that’s ideal for today’s home and work environments, no matter the size or shape. Mitsubishi Electric is consistently recognized by HVAC contractors as the #1 preferred brand with the highest quality rating among manufacturers. With over 30 years of industry leadership, we are proud to be America’s #1 selling brand of variable refrigerant flow (VRF) zoning technology. We deliver a complete range of compact and powerful heat pump products that are also intelligent, quiet, and use energy effectively. Up to 54% increase in efficiency ratings. Single modules up to 14 tons with the ability to combine modules for systems up to 28 tons. HexiCoil™ aluminium flat tube heat exchanger technology, eliminating copper tubing from the coil. Up to 50% less refrigerant charge required than previous generations. Supports up to 50 indoor units per system. Optimized refrigerant circuit and component design for improved flow distribution, allowing maximum energy transfer with minimal power input. Superior high-ambient cooling performance with guaranteed operation to 126°F. Extended 10-year parts and compressor warranty available.